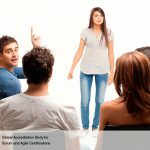 Scrum is not your regular waterfall technique but an agile framework which changes and, at times, challenges traditional roles. The Organizational Resource Matrix is a hierarchical depiction of a combination of a functional organizational structure and a projectized organizational structure. Matrix organizations bring together team members for a project from different functional departments such as information technology, finance, marketing, sales, manufacturing, and other departments – and create cross-functional teams. Managers, developers, and testers will be assigned the roles of the Product Owner, the Scrum Master, and the Development Team (Scrum Team). The Skills Requirement Matrix, also known as a competency framework, is used to assess skill gaps and training requirements for team members. A skills matrix maps the skills, capabilities, and interest level of team members in using those skills and capabilities on a project. Using this matrix, the organization can assess any skill gaps in team members and identify the employees who will need further training in a particular area or competency. Team members may not always possess the required knowledge or skills to work in the Scrum environment. The Product Owner should evaluate the training needs of potential team members and facilitate training to bridge any knowledge gaps in the team. The Product Owner is normally responsible for evaluating and selecting team members, but often does this in consultation with the Scrum Master who may have additional knowledge of the resources from working with them on other projects. 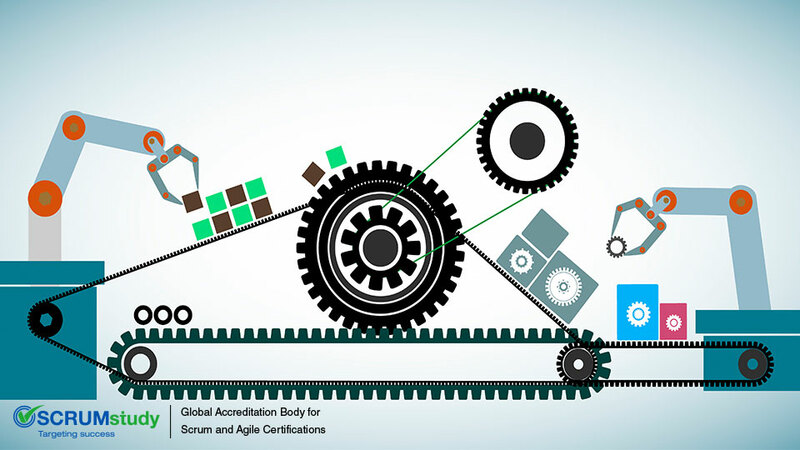 Appropriate training should be provided to the Scrum Team members both prior to the commencement of work, and also when they are working on their projects. Scrum Team members should also be ready to learn from each other and from more experienced persons in the team. 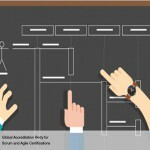 The awareness level of Scrum in an organization needs to be assessed which will help probe into the readiness of an organization and its people for Scrum. There are different aspects of an organization that needs to be gauged: organizational, infrastructural, business, team, technological, and procedural. The results of the assessment will allow for a more specific awareness generation or training in the area concerned. 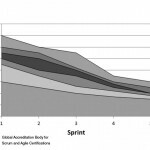 Product Managers, Project Managers, Functional / Departmental Managers, Scrum Team Members (including Architects, Designers, Coders, Testers, and others), and Executives in organizations doing Scrum must be provided with the right level of insight into Scrum for its successful implementation. Insight should not just be provided to the core roles (Product Owner, Scrum Master, and Scrum Team) but should also extend to the non-core roles (Users, Stakeholders, Consulting Experts, and Management). Creating a good cooperation and continuous exchange of information between these two roles is crucial to the success of a project. The non-core roles have to be actively involved in envisioning the product and providing feedback as to “what” should constitute the desired product. The Scrum Team and the Product Owner should be left to figure out the “how” of achieving the desired results. Changed to Scrum team. 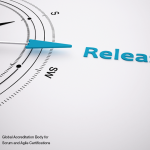 Therefore, the Scrum Team must be trained to actively seek feedback from the Product Owner who funnels the feedback from the other non-core roles, and those stakeholders must be sensitized well in the practices of Scrum so that they do not interfere with the workings of the Scrum Team. For a well-developed Scrum implementation in an organization, the level of awareness about Agile principles and values must be extensive. The Scrum Team has to be sensitized and trained in the ways of Scrum and the Scrum Master should act like a coach. The Scrum Master needs to bring out the best from the Scrum team by motivating them and facilitating the development process. Apart from the Scrum Team, the Product Owner also needs to be trained well. The Product Owner is the bridge between requirements and development. The more he/she is able to understand the requirements the better product development will be. 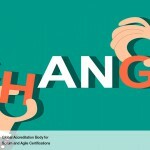 Implementation of Scrum changes not just the development team or a few management executives associated with a team or a project but at every level of the organization. Change at an organizational level is complex and is influenced by various factors: the culture of an organization, insecurity of managers, employee resistance, failure to see the need for change, fear of the unknown. These hurdles need to be addressed professionally by the Scrum Master. 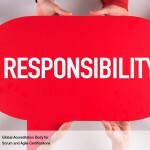 Clear objectives need to be communicated to all personnel about the implementation of Scrum.